In order to be eligible for a VA mortgage loan, veterans and surviving spouses must meet requirements based on available entitlement and years of service. To learn more about our VA mortgage loans, contact your local Inlanta loan officer today. 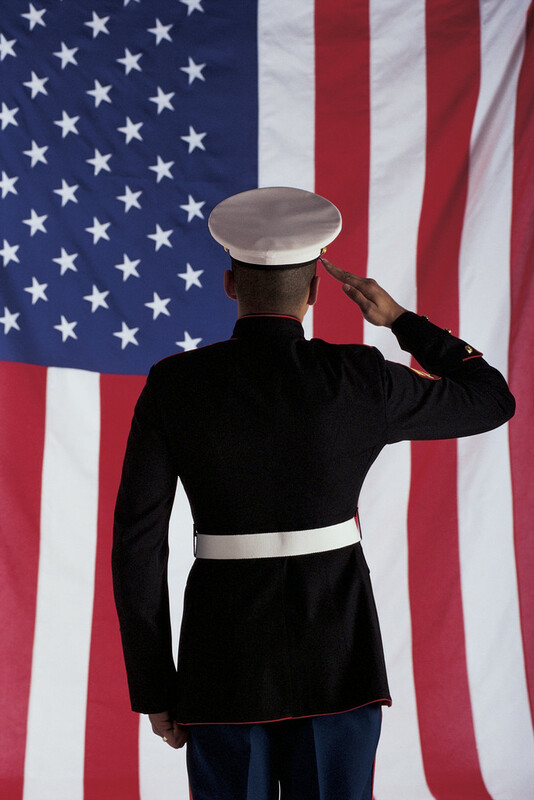 VA mortgage loans are designed to help our nation’s veterans purchase a home or refinance their existing mortgage. 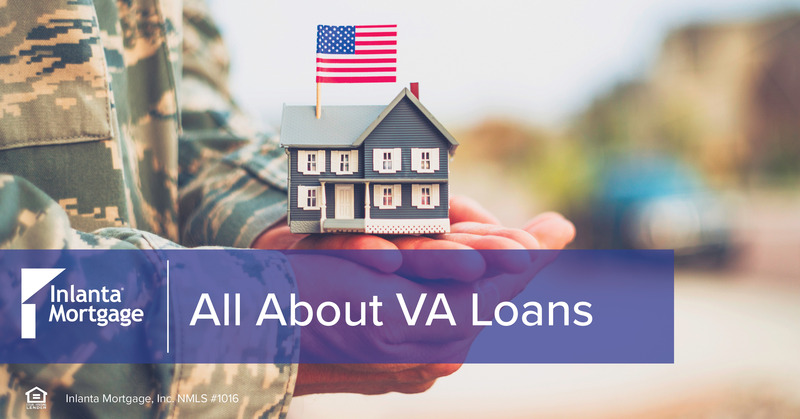 VA loans are a great option for eligible veterans because there is no down payment requirement, qualifying requirements are less restrictive than conventional loans and private mortgage insurance is not required. Visit the Department of Veterans Affairs website to determine if you are eligible. Spouses of veterans may also qualify under specific circumstances. 1. Find a Lender – You need a lender who participates in the VA program. 2. Get a Certificate of Eligibility (COE) – A COE verifies that you meet eligibility requirements for a VA loan. In most cases, Inlanta Mortgage loan officers can access and obtain your COE through an internet-based application (Web LGY) in a matter of seconds. 3. Find a Realtor – A Realtor can help you find a home and negotiate a purchase agreement. 4. Complete Your Loan Application – Work with your lender to complete your loan application and gather required documentation (bank statements, pay stubs, W2s). 5. Loan Processing – An appraisal will be ordered from a state-licensed real estate appraiser and your mortgage lender will begin to process all your application and documentation. Your lender will review all your information and confirm that the appraisal meets the market value requirements for a VA home loan guaranty. 7. Loan Approval & Closing – After reviewing the property appraisal and your credit, income and asset documentation, your lender can make a decision to approve or deny. Approved loans move towards closing. Title company representatives or attorneys conduct the closing – which is where the property is transferred to you! Do you have additional questions on VA mortgage loan eligibility, the loan process, or VA loans in general? Inlanta Mortgage loan officers are qualified to answer all of your VA mortgage loan questions. Use our branch locator to find a licensed mortgage loan officer near you. Today, we salute our nation’s veterans. We sincerely appreciate the sacrifices made by our men and women (and their families) in service to our country. We encourage you to thank a veteran for their services! The holiday was first observed in the United States in 1919 as Armistice Day, marking the day one year earlier, November 11, 1918, when the United States and its allies reached a formal agreement with Germany to end World War One. Boston Market – Boston Market is offering a free whole chicken with the purchase of a family meal on Monday, Nov. 11 with a military ID. Famous Dave’s – Famous Dave’s is offering various discounts and free meals on Monday, Nov. 11 with proof of service. Specific offers vary by locations. National Parks – On Veterans Day weekend (Nov. 9-11) veterans will have access to over 100 National Parks that require entrance fees for free. Walgreens – Walgreens is offering 15% off eligible store items and 20% of Walgreens, Nice! and W brand products on Monday, Nov. 11. This discount is available to all veterans and active duty military personnel. Toys“R”Us – At Toys“R”Us and Babies”R”Us, military members and their families can get 20% off one regular-priced item from Sunday, Nov. 10 through Saturday, Nov. 16. 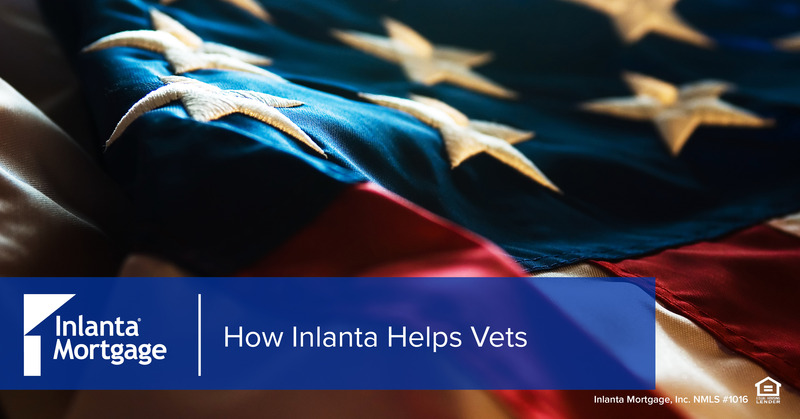 Inlanta is proud to offer Veterans Affairs (VA) mortgage loans. For more information on VA mortgage loans and the VA mortgage loan process, visit our blog post VA Mortgage Loan Process. 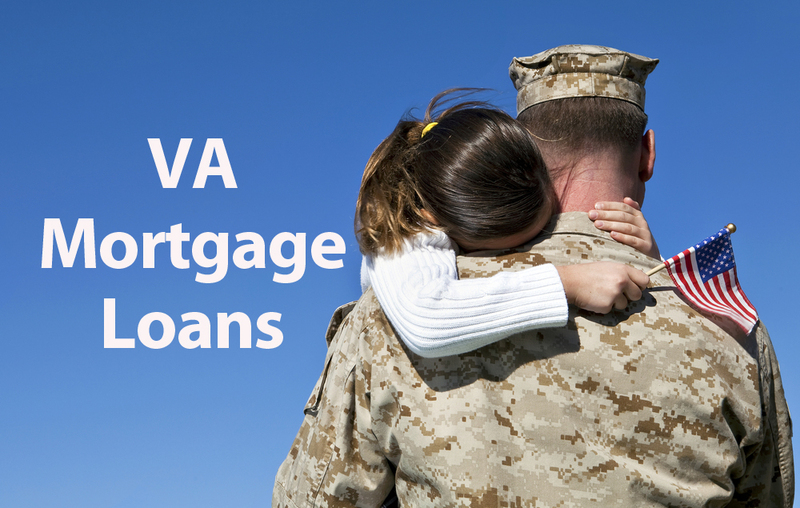 VA mortgage loans are designed to help our nation’s veterans purchase a home or refinance their existing mortgage. Veterans with qualifying credit and income can purchase a home with no money down, no private mortgage insurance, and competitive interest rates. Visit the Department of Veterans Affairs website to determine if you are eligible. 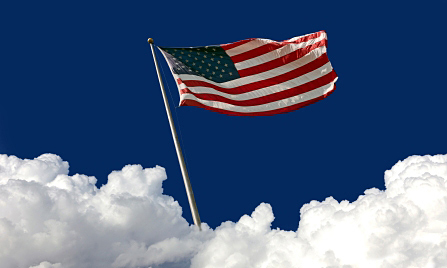 Spouses of veterans may also qualify under specific circumstances. Veterans with qualifying credit and income can purchase a home with no money down, no private mortgage insurance, and competitive interest rates. To qualify for a VA loan, a veteran must have served 181 days during peacetime, 90 days during war time, or 6 years in the Reserves or National Guard. Spouses of veterans may also qualify under specific circumstances. Contact a licensed Inlanta Mortgage loan professional to discuss this unique loan program available to qualifying veterans and spouses. 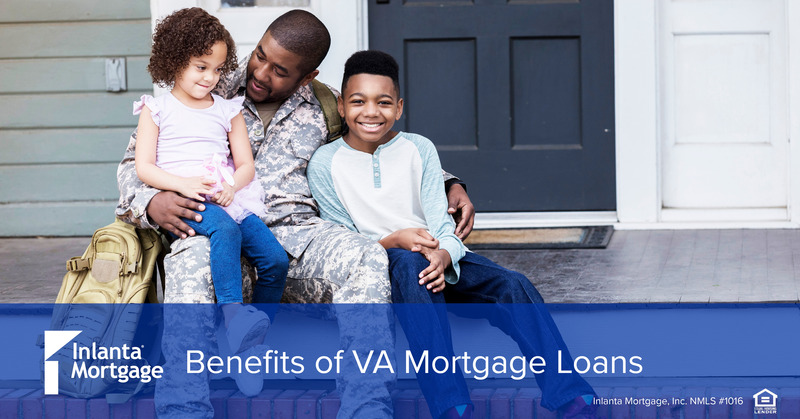 Under the VA guaranteed mortgage loan program, eligible veterans may refinance their existing mortgage with an Interest Rate Reduction Loan (IRRRL). IRRRL’s, or VA Streamline Refinance Loans, help veterans refinance their current mortgage interest rate to a lower rate. This loan allows eligible veterans to refinance their conventional or VA loan into a lower rate while also taking cash from the home’s value. 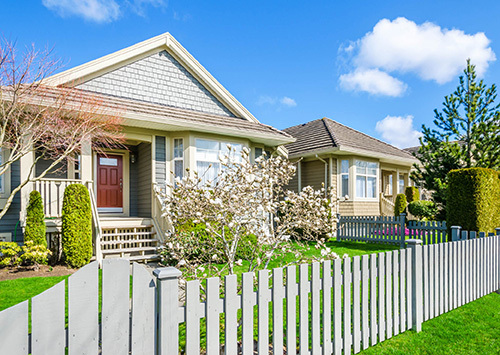 Just like the VA Streamline Refinance, the home must be the principal residence of the owner. Use our branch locator to contact a loan officer near you to learn more about VA mortgages. Veterans with qualifying credit and income can purchase a home with no money down, no private mortgage insurance, and competitive interest rates. To qualify for a VA loan, a veteran must have served 181 days during peacetime, 90 days during war time, or 6 years in the Reserves or National Guard. 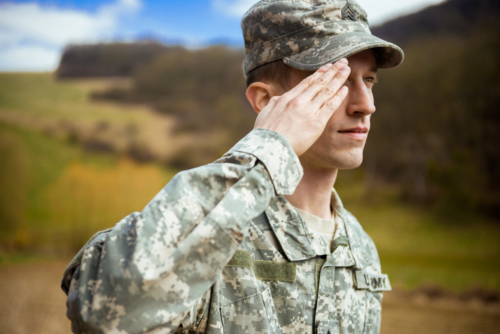 Spouses of veterans may also qualify under specific circumstances. This loan allows eligible veterans to refinance their conventional or VA loan into a lower rate while also taking cash from the home’s value. Just like the VA Streamline Refinance, the home must be the principal residence of the owner. VA mortgage loans are an extremely attractive home financing option for those who have served our country. Contact a licensed mortgage loan officer near you for more details or begin your loan application now. Inlanta Mortgage offers Fannie Mae/Freddie Mac agency products, as well as a full suite of jumbo and portfolio programs. The company is fully delegated HUD-FHA including FHA 203K, VA, and USDA approved. Inlanta Mortgage also offers numerous state bond programs. Review Inlanta’s mortgage loan programs here. VA Loan programs are subject to change and dependent upon credit approval. Contact your Inlanta Mortgage licensed loan officers for additional program details.